The aeronautical industry is one the companies which has endured throughout the economical crisis, becoming a thriving economical driving force opening way in new communities not covered until now. Nowadays, the aeronautical field creates a great amount of companies, maintaining both jobs and productions at a higher level every year. It is becoming an outstanding employment source, specially inside the Aircraft Maintenance and Pilot field. From the very beginning, PEGASUS AERO GROUP is aware of the importance of continuous training, so that the productive field grows and develops at its highest capacity. That is the reason why, for more than fifteen years, aeronautical training is being offered, including a wide range of academical fields, aimed at several professionals, not only for their initial qualification, but also for the improvement and expansion of their capabilities. Specialized formation is offered, for both aircraft mechanics and pilots in our training center inside our premises in Aerodrome Sebastián Almagro, placed in Palma del Río – Córdoba. The course to obtain the Aircraft Maintenance Technician License, subcategory B1.1 (Turbine-engined airplanes) – B1.3 (Turbine-engined Helicopters) authorized by the Aerial Security Agency (AESA), includes theoretical as well as practical lessons , performed on real aircraft with approximately a two-year term duration. Avionics Technician courses are also offered. The organization enjoys the approval to teach these courses as well as the capacity to give official tests, thanks to its EASA ES.147.006 approval. Being in possession of the required approvals, once the formation is complete, our students are qualified to work, not only in countries inside the European Union, but also overseas. Up to now, more than 500 students have been trained in our training center. Our practical and theorical classes enjoy our premises of more than 800 square meters, with wifi zone, language classrooms, workshops for technicians, electricians and avionics, coffee rooms and online educational platforms. The second training field offered is aimed at those students who decide to become helicopter pilots. Those already qualified professionals, can also be trained as commercial helicopter pilot and widen knowledge and capabilities to update their training, skills and habilitations. Our training center is approved as ATO (Approved Training Organization) E-ATO-107. This has allowed the center to adapt itself to the formation regulations for flight training organizations included in the European Jar Regulation – FCL. Thanks to this approval around twenty courses are offered. 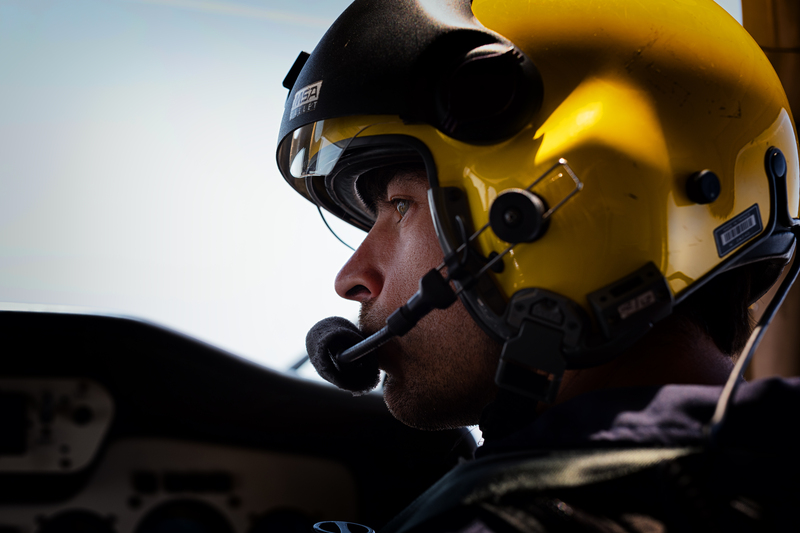 The most frequently required are the Integrated ATPL-IR (H) and Modular IR (H), aimed at the obtention of the helicopter pilot license or even to the ampliation of knowledge and capabilities for already qualified pilots. It is referred to as one of the highest valued training centers in the country with more than 400 professionals with an inclusion in the work field of more than 90 per cent. All this is possible thanks to its prestigious teachers and credit worthiness.